Leading brand consultants Alan Siegel and Irene Etzkorn show you how to conquer complexity and bring clarity to business and daily life. Fans of Intuition Pumps or The Art of Thinking Clearly will find this book indispensable to clearing clutter from their minds and their working lives. For four decades, Alan Siegel and Irene Etzkorn have been on the frontlines of the battle to make things simple. They have consulted with Xerox, American Express, 3M, the U.S. Air Force, the IRS, and many others to simplify their processes, their offerings, everything they do - with dramatic results for these businesses and the customers they serve. Siegel and Etzkorn believe in simplicity as a philosophy, a guiding principle, and a way of life, but they have learned firsthand that it's not so simple to make things simple - it demands a commitment to clarity, honesty, discipline, and intelligence. Three things, the authors believe, can be said with certainty: 1) simplicity works; 2) it is accessible to all of us; and 3) we've never needed it more than we do today. 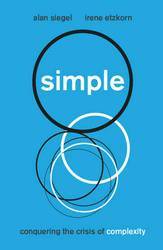 These three principles are at the core of SIMPLE, a book that will expose the overly complex things you do, reveal the reasons why you do them, and make it harder for you to keep on doing them. The global economic landscape is 'tilting': countries such as China, India and Brazil are racing forward while established American and European companies struggle to keep up. 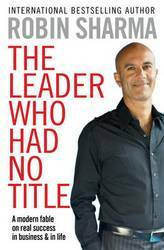 To survive in this new climate, CEOs need to respond quickly and effectively, and in Global Tilt, best selling coauthor of Execution Ram Charan shows how. His advice includes: - Unlearn Old Lessons - Get Ready for Strategic Bets - Fight the Short-Term Beast - Change Your Psychology In this age of rapid economic change, we all have to be on our toes. 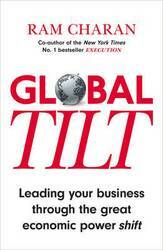 Is your business ready to survive the Global Tilt? The world is full of business ideas. But how do you know which the best ones are? And how do you find time to read them? 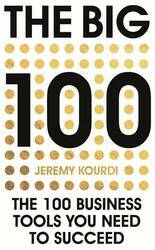 THE BIG 100 may be a little book, but it contains the very best business tools that have come from the very best business brains on the planet. 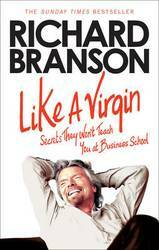 Each is summarized over just two pages, so that you can quickly gain access to the insights which are driving the most successful people in all walks of life. 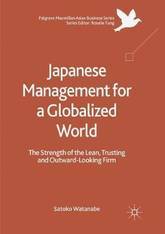 This book provides a comprehensive analysis of the changes that have taken place in the systems and practices of Japanese management over the last quarter century, identifies the positive and useful attributes that ought to be maintained, and clarifies the behavioral principles that form the groundwork of their strengths. 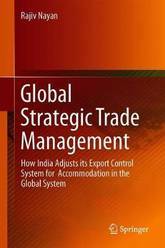 Observing the changes in the business environment brought about by the forces of intensifying globalization, the book presents a highly effective management model that builds on the superior aspects of Japanese-style management while overcoming its weaknesses. 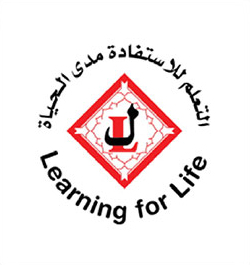 It is a multi-layered human-resources management model that combines the mutually complementary aspects of the Japanese and Anglo-Saxon systems, incorporating the strengths of both systems. This hybrid model is aimed at increasing workplace motivation, promoting the creation of new value, and enhancing performance and can be used successfully in many countries around the world. 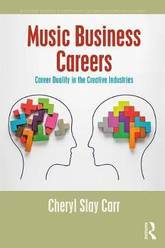 It will be of interest to business strategists and consultants, scholars, and entrepreneurs. This volume brings together two hitherto disparate domains of scholarly inquiry: organization and management studies on the one hand, and the study of visual and multimodal communication on the other. Within organization and management studies it has been recognized that organizational reality and communication are becoming increasingly visual, and, more generally, multimodal, whether in digital form or otherwise. Within multimodality studies it has been noted that many forms of contemporary communication are deeply influenced by organizational and managerial communication, as formerly formal and bureaucratic types of communication increasingly adopt promotional language and multimodal document presentation. 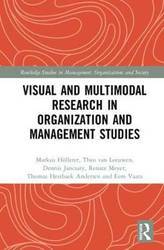 Visual and Multimodal Research in Organization and Management Studies integrates these two domains of research in a way that will benefit both. In particular, it conceptually and empirically connects recent insights from visual and multimodality studies to ongoing discussions in organization and management theory. Throughout, the book shows how a visual/multimodal lens enriches and extends what we already know about organization, organizations, and practices of organizing, but also how concepts from organization and management studies can be highly productive in further developing insights on visual and multimodal communication. Due to its essentially interdisciplinary objectives, the book will prove inspiring for academics and scholars of management, the sociology of organizations as well as related disciplines such as applied linguistics and visual studies. This book challenges the conventional wisdom that civil war inevitably stymies economic development and that `civil war represents development in reverse'. While some civil wars may have adverse economic effects, Civil War and Uncivil Development posits that not all conflicts have negative economic consequences and, under certain conditions, civil war violence can bolster processes of economic development. 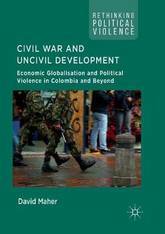 Using Colombia as a case study, this book provides evidence that violence perpetrated by key actors of the conflict - the public armed forces and paramilitaries - has facilitated economic growth and processes of economic globalisation in Colombia (namely, international trade and foreign direct investment), with profoundly negative consequences for large swathes of civilians. 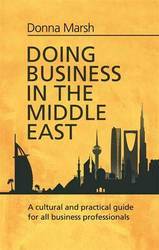 The analysis also discusses the `development in reverse' logic in the context of other conflicts across the globe. This book will be an invaluable resource for scholars, practitioners and students in the fields of security and development, civil war studies, peace studies, the political economy of conflict and international relations. 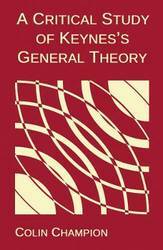 Keynes's General Theory was the most influential piece of economic writing of the twentieth century, and is one of the least understood. Keynes wrote brilliantly for the popular press but tied himself in knots when trying to present his own theoretical ideas. He was seen at the time as a heretic and a paradox-monger. His ideas were accepted by much of the economics establishment, and then rejected by adversaries who had absorbed more of them than they cared to admit. Nowadays it is hard to tell what comes from Keynes and what doesn't. The relevance of his ideas is not just to theoreticians. Political discussion often hinges on ideas associated with Keynes. Every voter is called on to express a quinquennial preference between balanced budgets and fiscal stimulation; yet nowhere can he or she find adequate guidance on the meaning of Keynes's words, or on whether they are indeed paradoxes or instead a banal application of the laws of supply and demand to the economy as a whole. 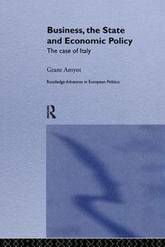 This Critical Study presents Keynes's ideas in a clear and systematic way. 26 colour diagrams illustrate the theoretical relationships, and an initial chapter provides a primer on the basic concepts needed to understand Keynes's work. 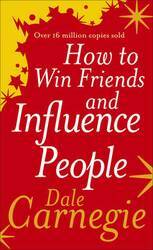 Above all, as its title suggests, the book is critical. It looks at those aspects of Keynes's doctrine which were seen as paradoxical when they appeared, and tries to examine the rationale for his rejection of `Classical' theory. All this is presented in the context of the society of the 30s, struggling to rebuild itself after the disasters of war but confronted by hyperinflation and depression. 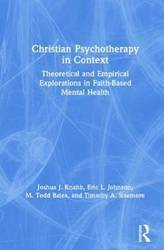 A vivid picture emerges of the personalities involved, and there is a relatively sympathetic portrayal of the contributions of A. C. Pigou and Dennis Robertson to the topics raised by the General Theory. 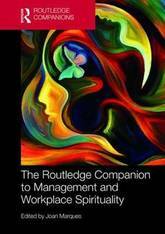 The Routledge Companion to Management and Workplace Spirituality provides readers with a broad, cutting-edge overview of the discipline of management spirituality and religion (MSR). 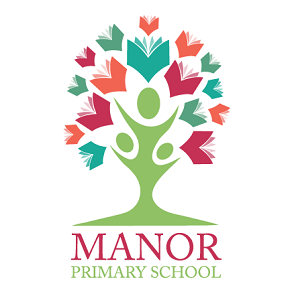 Marques has gathered leading scholars from around the world who share their insights and research on important topics such as linking spirituality and religion, cultural influences on workplace spirituality, mindfulness, and managing spiritually averse people. The volume also covers each of the major religions from both East and West, as well as leadership and spirituality, and issues related to linking spirituality to ethics, sustainability, and corporate social responsibility. This volume will prove invaluable to any student or researcher looking for a comprehensive survey of the field of MSR. 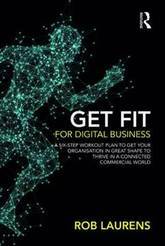 Get Fit for Digital Business: A Six-Step Workout Plan to Get Your Organisation in Great Shape to Thrive in a Connected Commercial World. 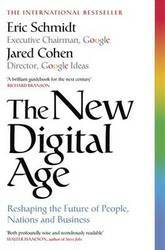 Is your organisation in good shape for today's digital world? Has it effectively changed the way it works to keep up with the new connected consumer? Or is it still stuck on the digital business basics, losing relevance and falling behind in the race for customers? Get Fit for Digital Business will help you to assess where you are now, where you need to go and how you can get there. Leaning on two decades of business transformation experience, Rob Laurens describes the difference between just doing digital and being digital. He provides a practical six-step process that any leader can use to accelerate change, seize the opportunities and counter the threats that digital technology brings. This is people-first business transformation for the real world; the way to build core strength, speed and agility throughout your organisation. Free from digital jargon and corporate gobbledegook, it's a complete framework for leaders who don't have time for an MBA in digital business - but who do want to get their teams in great shape to survive and thrive in a digital world. Get Fit for Digital Business will help you to create an enterprise that is not just more productive and profitable, but also happier and healthier - leaving you and your team feeling and performing better in every department. 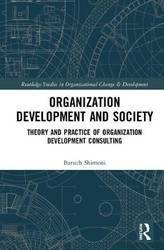 Organization Development and Society: Theory and Practice of Organization Development Consulting offers a new approach for the practice of organization development (OD). The new approach, a habitus oriented OD (HOOD), sees consultees' thinking and behavior a result of habitus, a cognitive structure developed historically in endless interactions between human behavior and social structures. HOOD has two goals: The first goal is to redefine the objectives of individually oriented OD. The focus on habitus and social structure allows individually oriented OD scholars and practitioners to keep their subjective approach, which searches for consultees' inner world. However, this subjectivity searches not only for consultees' psychological but their social dispositions. 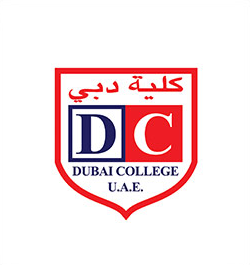 It views the individual level, the habitus, as a site of social dispositions that from within the individual consultees generate thoughts and behaviors in a way that closely corresponds with the organization's social structure; with power relations and social positions and with accepted metaphors and common language. The HOOD links the concept of habitus to the field of OD and in so doing provides an alternative way to incorporate the individual and the social in OD. 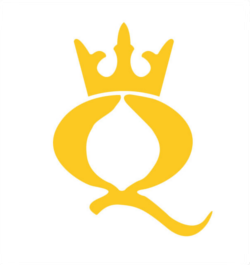 HOOD's second goal is to re/position OD between organizations and society and thus to produce a consulting practice that is both pragmatic and human. It is pragmatic since incorporation of habitus enables the consultant to liberate consultees' perspectives and behavior from the organization's social and structural hoops and to use these perspectives in processes of change and development. Considering the habitus as central to consulting projects is human since it enables consultants (and consultees) to identify the responsibility for organizational problems (and other phenomena) not only at the level of the individual but also at the level of the organization and the environment outside the organization. Firms are collecting and analyzing customer data at an ever increasing rate in response to evidence that data analytics (precision targeting, improved selling) generates a positive return. Yet efforts often ignore customers' privacy concerns and feelings of vulnerability with long-term effects on customers' trust, relationships, and ultimately financial performance. Big data, privacy, and cybersecurity often is relegated to IT and legal teams with minimal regard for customer relationships. 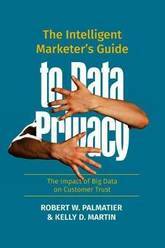 This book fills the void by taking a customer-centric approach to privacy. It offers both defensive and offensive marketing-based privacy strategies that strongly position firms in today's data-intensive landscape. 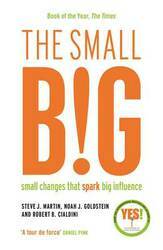 The book also helps managers anticipate future consumer and legislative trends. Drawing from the authors' own work and extant research, this book offers a compelling guide for building and implementing big data- and privacy-informed business strategies. Specifically, the book: * -Describes the consumer psychology of privacy * -Deconstructs relevant legal and regulatory issues * - Offers defensive privacy strategies * - Describes offensive privacy strategies * Provides an executive summary with the Six Tenets for Effective Privacy Marketing This book will be useful to managers, students, or the casual reader who is interested in how and why big data and consumer privacy are transforming business. Moving beyond summary privacy insights, the book also offers a detailed and compelling action plan for improving performance by protecting against privacy threats as well as developing and implementing offensive privacy strategy. In the future, many firms will be competing through an integrated, customer-centric big data privacy strategy and this book will guide managers in this journey. Our tax system is a mess. And the reason for that mess is, our tax system is incoherent. A well-designed tax system is like a good jigsaw puzzle: all the pieces fit together snugly, so when the whole thing is fully assembled, it forms a coherent picture. But our current tax system is disjointed, with parts that don't logically fit together. That results in inconsistencies, complexity, loopholes, and distorted incentives. We need a tax system that make sense. 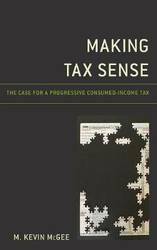 As this book shows however, making a traditional income tax coherent is an impossible goal. But coherence is achievable if we adjust our target, and complete the switch to a consumed-income tax -- a system that taxes all income, not when it is earned, but when that income is consumed. The move towards a consumed-income tax was begun decades ago, when we first adopted IRAs and other tax-deferred savings accounts. 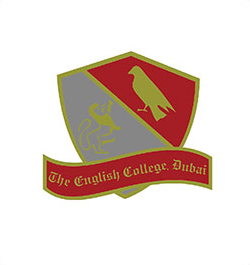 We just needed to complete the evolution. The book explores a variety of tax issues -- among them savings, small businesses, owner-occupied houses, and corporations -- and develops seven groups of recommended changes. These changes would result in a tax system that would be pro-growth, by eliminating the existing disincentives to saving and investment. But the tax system would also remain progressive, with the wealthy taxed as much as and perhaps even more than currently. That combination could make the recommended changes attractive to members of both parties, and might bring to a close the political seesaw in tax policy that we've experienced over that last several decades. Agriculture is a major contributor to Africa's GDP, the region's biggest source of employment and its largest food producer. However, agricultural productivity remains low and buyer-driven global value chains offer few opportunities for small producers to upgrade into higher value-added activities. In recent years, the revival of Africa's cooperatives has been celebrated by governments and international donors as a pathway towards inclusive agricultural development, and this book explores the strengths but also the issues which surround these cooperatives. The book scrutinizes the neoliberal ideal of economic prosperity arising through the operation of liberalized labor markets by illuminating the discriminatory nature of Uganda's informal labor relations. It points to the role of cooperatives as a potential instrument of progressive change in African export agriculture, where large numbers of small producers depend on casual wage work in addition to farming. In contrast to the portrayal, advanced by some governments and rarely questioned by donors, of an unproblematic co-existence of small producers' collective action and big capital interests, the author calls for a re-politicized debate on the Social and Solidarity Economy. As part of this, she highlights the adverse political and economic conditions faced by African cooperatives, including intense international competition in agricultural processing, inadequate access to infrastructure and services, and at times antagonistic state-cooperative relations. 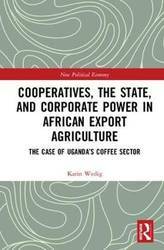 Supported by wide-ranging interdisciplinary evidence, including new ethnographic, survey and interview data, this book shows how cooperatives may be co-opted by both the state and corporations in a discourse that ignores structural inequalities in value chains and emphasizes poverty reduction over economic and political empowerment. It provides a critique of New Institutional Economics as a framework for understanding how institutions shape redistribution, and develops a political economy approach to explore the conditions for structural change in African export agriculture. From driverless cars to pilotless planes, many functions that have previously required human labor can now be performed using artificial intelligence. For businesses, this use of AI results in reduced labor costs and, even more important, creating a competitive advantage. How does one look at any organization and begin the work of automating it in sensible ways? 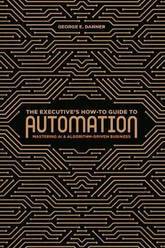 This book provides the blueprint for automating critical business functions of all kinds. It outlines the skills and technologies that must be brought to bear on replicating human-like thinking and judgment in the form of algorithms. Many believe that algorithm design is the exclusive purview of computer scientists and experienced programmers. 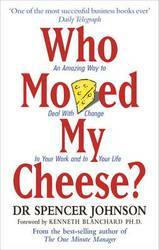 This book aims to dispel that notion. An algorithm is merely a set of rules, and anyone with the ability to envision how different components of a business can interact with other components already has the ability to work in algorithms. Though many fear that the use of automation in business means human labor will no longer be needed, the author argues that organizations will re-purpose humans into different roles under the banner of automation, not simply get rid of them. He also identifies parts of business that are best targeted for automation. This book will arm business people with the tools needed to automate companies, making them perform better, move faster, operate cheaper, and provide great lasting value to investors. 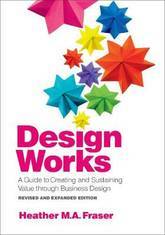 Design Works is a second-edition collection of best practices that serves as a leader's guide to driving innovation within the enterprise through the strategic and design-inspired practice of Business Design. It is well recognized that enterprise success requires ongoing innovation to create new value and sustain success. That requires a disciplined integration of exploration, sound strategic decision-making and leadership at all levels of the enterprise. While the resurgence of design thinking has proven to catalyze fresh thinking, it can fall short if not fully integrated with the business strategy of the enterprise, mindful stakeholder engagement and the evolution of enterprise management systems. This book builds on the fundamental principles of the first edition of Design Works: How to Tackle Your Toughest Innovation Challenges through Business Design. It expands on how to effectively navigate progress through strategy integration, effective stakeholder engagement and blending design-inspired practices with analytics to build a compelling business case for investment in value-creating efforts. 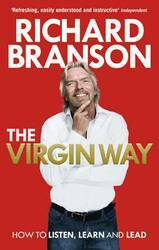 Like the first edition, it includes valuable frameworks, inspiring stories and practical tools to drive growth and innovation in any type of organization. Clear principles for leading innovation draw from others' experience to help make the most of enterprise talent and resources. 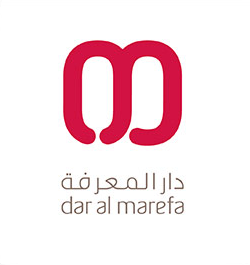 New methodologies hone and build on the repertoire of tools in the first edition. New stories provide insights into how a variety of organizations have leveraged the principles and practices of Business Design. Cyber risk is the second highest perceived business risk according to U.S. risk managers and corporate insurance experts. Digital assets now represent over 85% of an organization's value. In a survey of Fortune 1000 organizations, 83% surveyed described cyber risk as an organizationally complex topic, with most using only qualitative metrics that provide little, if any insight into an effective cyber strategy. 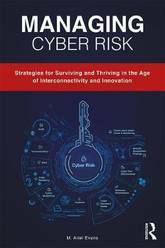 Written by one of the foremost cyber risk experts in the world and with contributions from other senior professionals in the field, Managing Cyber Risk provides corporate cyber stakeholders - managers, executives, and directors - with context and tools to accomplish several strategic objectives. These include enabling managers to understand and have proper governance oversight of this crucial area and ensuring improved cyber resilience. Managing Cyber Risk helps businesses to understand cyber risk quantification in business terms that lead risk owners to determine how much cyber insurance they should buy based on the size and the scope of policy, the cyber budget required, and how to prioritize risk remediation based on reputational, operational, legal, and financial impacts. Directors are held to standards of fiduciary duty, loyalty, and care. These insights provide the ability to demonstrate that directors have appropriately discharged their duties, which often dictates the ability to successfully rebut claims made against such individuals. Cyber is a strategic business issue that requires quantitative metrics to ensure cyber resiliency. This handbook acts as a roadmap for executives to understand how to increase cyber resiliency and is unique since it quantifies exposures at the digital asset level. Negotiation is such a familiar part of our everyday lives that we often fail to recognize it's even happening, let alone identify the power battles and psychological warfare it entails. In our busy everyday lives, we seldom pause to reflect that negotiating is, in fact, a complex and strategic mind game. 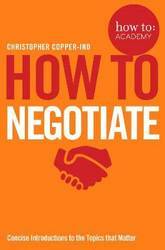 In How To Negotiate, Christopher Copper-Ind shows the inner workings of all types of negotiations, from the mundane division of household chores to pay rises and high-powered business deals. By understanding the psychology and essential skills involved, you'll be able to bring enviable insight to your own negotiations going forward giving you the confidence to succeed.